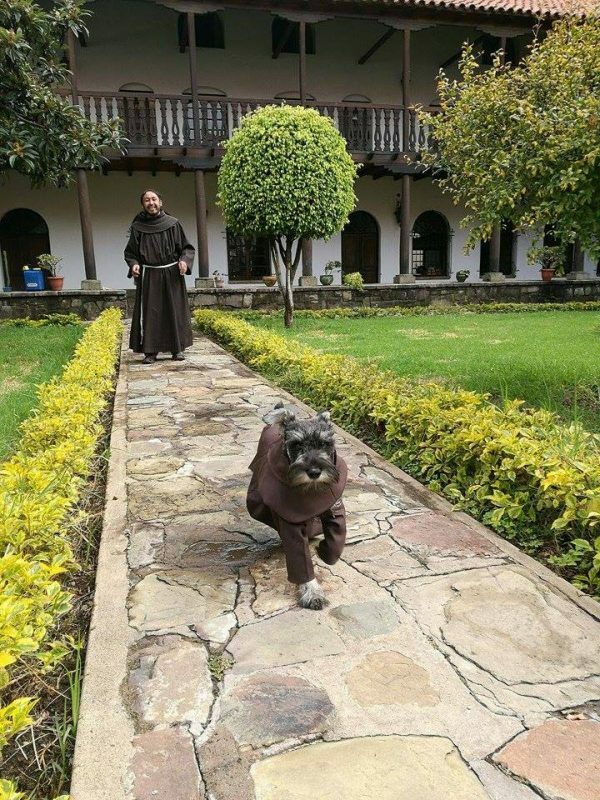 A Franciscan monastery in Cochabamba, Bolivia, recently made international headlines after adopting an abandoned schnauzer and making him one of their own. 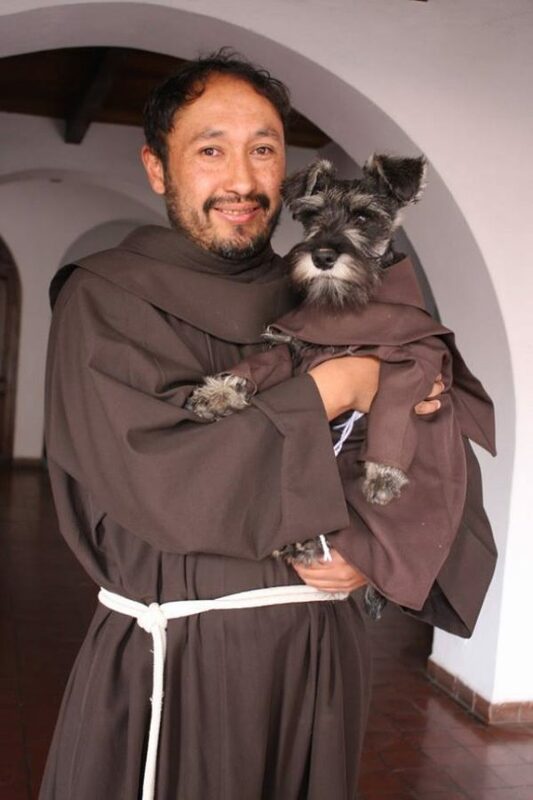 How the “world’s hairiest Franciscan monk” ended up at the San Francisco de Cochabamba monastery, four months ago, is still a mystery, but what matters is that he’s now one of the family. 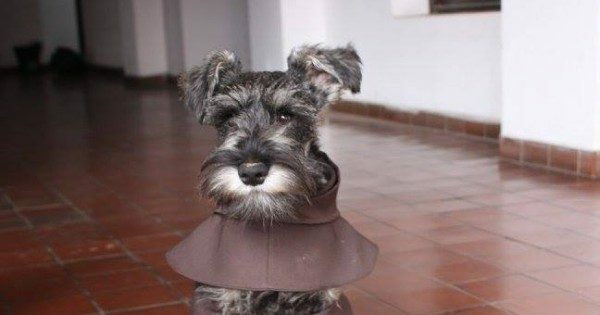 Named Carmelo, the adorable schnauzer has become known as Fray Bigotón (Spanish for ‘Friar Mustache’) on the internet, after photos of him dressed in his own little Franciscan robe went viral online. 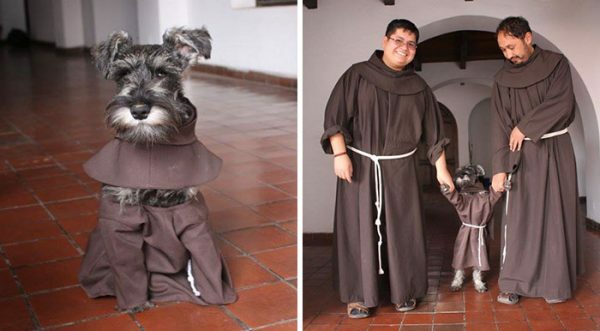 The photos of Fray Bigotón were originally posted on Facebook by Kasper Mariusz Kapron Ohm, a monk at San Francisco de Cochabamba monastery, as part of a schnauzer mascot contest on Facebook. The friars thought his beard alone made him a proper mascot for their monastery, but they also made him a little Franciscan robe just for fun. 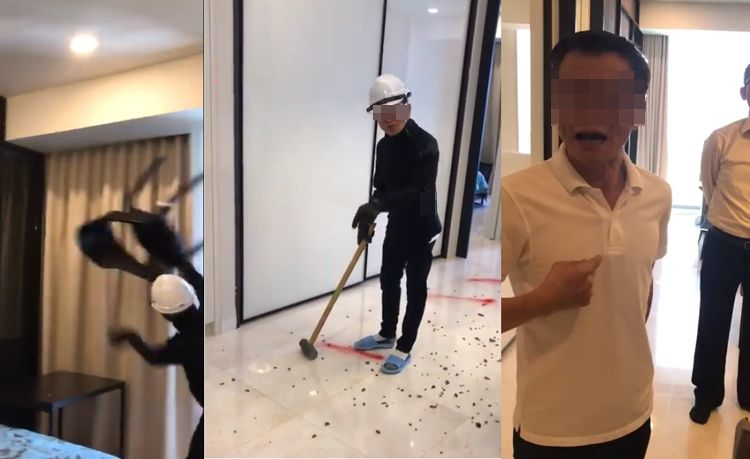 The photos of Fray Bigotón were quickly picked up by several international news outlets and shared thousands of times on various social networks. 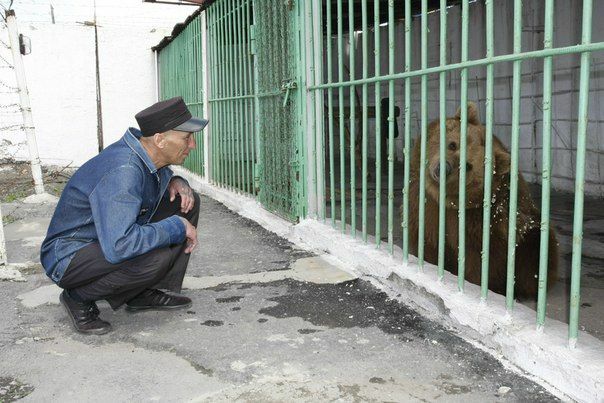 Soon, Bolivian news crews started calling the monastery asking for information on the four-legged monk that had melted the hearts of millions around the world. 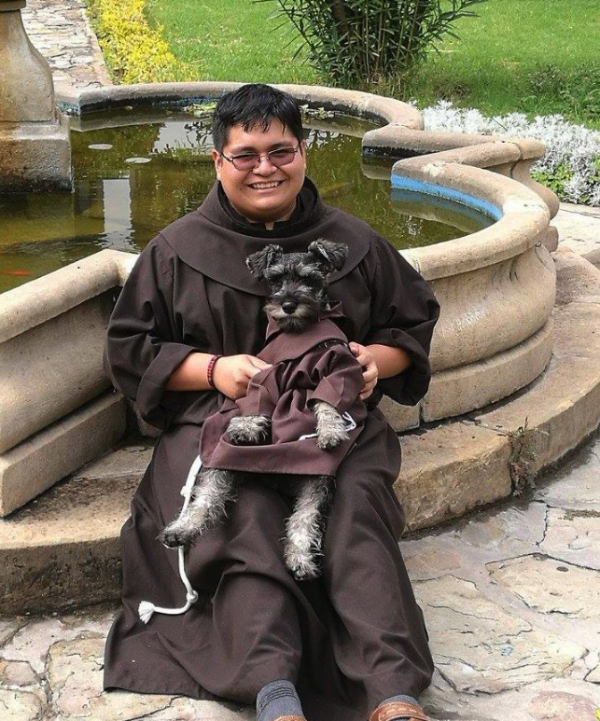 As for the newest monk of the San Francisco de Cochabamba, his only responsibility is enjoying his new life of comfort. 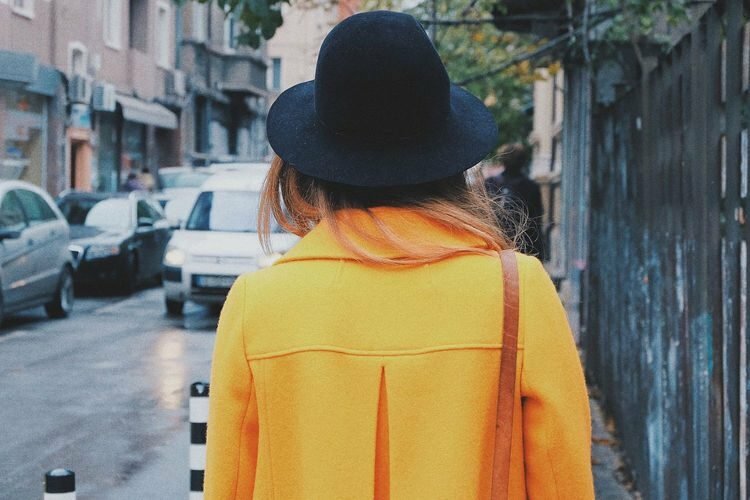 “His life is all about playing and running. Here, all of the brothers love him very much. He is a creature of God,” said friar Jorge Fernandez. Proyecto Narices Frias, a Bolivian animal rescue organization also picked up the photos of Fray Bigotón, and also posted a message encouraging more churches and monasteries to follow the example of San Francisco de Cochabamba. 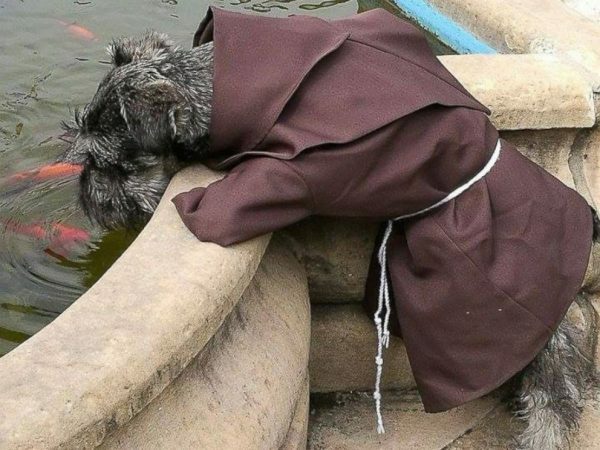 “If only all the churches of our country adopt a dog and care for him like Friar Bigotón we are sure that the parishioners would follow their example,” they wrote.